MDCS:Medical Dermatology & Cosmetic Surgery Center (Plainview) - Book Appointment Online! 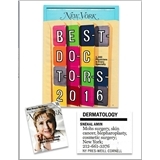 MDCS is the premier center for total skin care in New York. This practice brings together the finest dermatologists and plastic surgeons from the most prestigious institutions in the country such as Cornell, Harvard, UCLA, NYU and Einstein. Our physicians are your personal experts in the health and beauty of your skin and body. Your skin is the direct expression of inner health and beauty. MDCS provides state-of-the-art, comprehensive care for all skin types and conditions with expertise and dedication. Trust the board-certified physicians and surgeons at MDCS to take care of your skin. Please remember to input your insurance information, including name of carrier as well as member ID, when booking your appointment. Dr. Amin was great. The visit was quick. I checked in and was seated in a room within minutes of arriving to the office. Dr. Blair is very professional and made my first visit to a dermatologist’s office as easy and welcoming as it could have possibly been. She confidently examined my skin and laid out an impressive skin care routine for me in no time at all. An overall impressive and delightful experience! Dr. Garshick is great! Very professional, friendly, and knowledgeable. Can't ask for more.